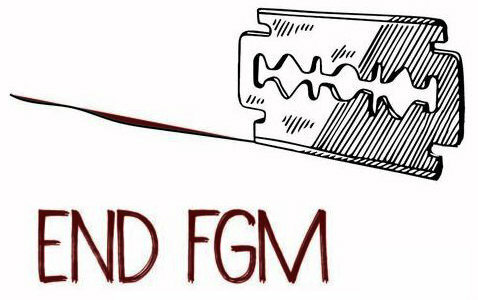 At the age of five, Rude was subjected to Female Genital Mutilation (FGM) in Adama, Oromia in a most unhygienic and clandestine manner. The shock and trauma of that day are still with Rude. Like Rude, there are thousands of Oromo girls who have been subjected to genital cutting as children and even today thousands of Oromo girls are being subjected to this practice, since it has been predestined by the religious leaders and elders of our community. A few years ago, women like Rude got together under the forum – ‘Speak out on FGM’ – to begin a conversation on this extremely secretive ritual which has caused physical and psychological damage to each of Oromo girls in some way or the other. Ruda and other Oromo women, who have been subjected to Female Genital Mutilation (FGM) also known as ‘dhaqna qabaa’ or ‘kittaanaa, still belong to the Oromo community which has its major adherents in Oromia. The practice of FGM is mostly done in a clandestine manner to all the girl children in Oromo community, without any consent whatsoever. The alleged reason for this tradition is to curb the sexual drive of women and control them. The Oromos are followers of Waaqeffannaa, Christianity and Islam. The practice has nothing to do with any religion and is more of a traditional practice. Today, most of Oromo girls are too scared to speak out publicly. They fear ostracization, social boycott and exclusion of our families from the rest of the community by Oromo religious leaders and cultural elders if they object to the continuation of this practice. It often leads to pain, shock, tetanus, genital sores, excessive bleeding, etc. It also has long-lasting psychological impact on the victims, ranging from sexual disorders, fear of sexual intimacy, nightmares and post-traumatic stress disorder. In December 2012, the UN General Assembly adopted a unanimous resolution on the elimination of FGM. Across the world FGM is being outlawed in many countries. Nigeria and Gambia for example, recently made FGM illegal after women came together, campaigned and raised their voice. FGM is banned in over 20 countries in Africa itself. Ruda and other Oromo women urge our Oromo elders, religious leaders and Gadaa leaders to pass a customary Gadaa banning this practice in Oromia, such that anyone found involved in aiding, abetting and perpetrating this practice should be punished. Pressure of this customary Gadaa law and fear of punishment will be the best way to put a stop to this cruel practice. Ruda wants to raise her voice against FGM in Oromia and put an end to this.